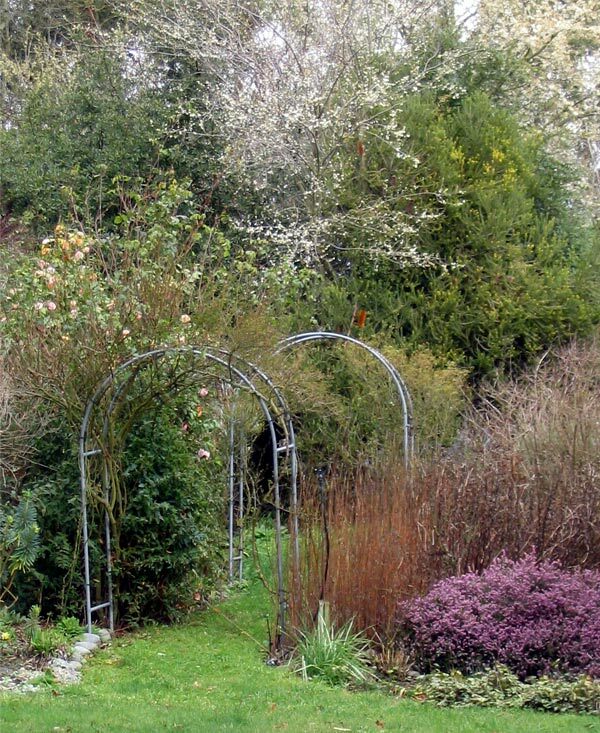 Winter flowering shrubs are worth a very special mention - in the Moosey winter garden I have a particularly well-loved Erica. It's low to the ground and extremely beautiful. This plant was already here in the garden when I first arrived, and apart from random haircuts at random times of the gardening year it has survived intact. It grows happily in the small vee shaped garden by the Laundry. 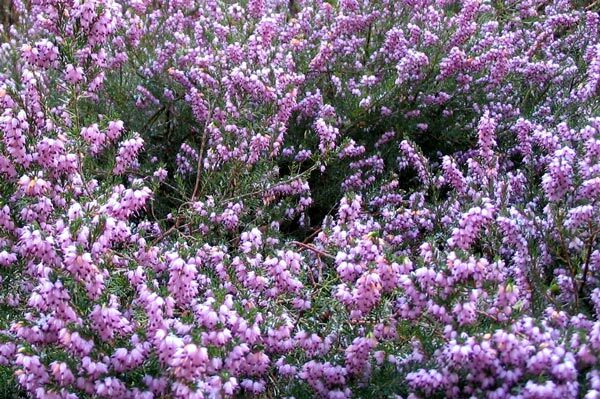 I don't know much about Ericas, but I associate this plant with Scotland - I can remember taking photographs of completely purple hills the last time I visited. 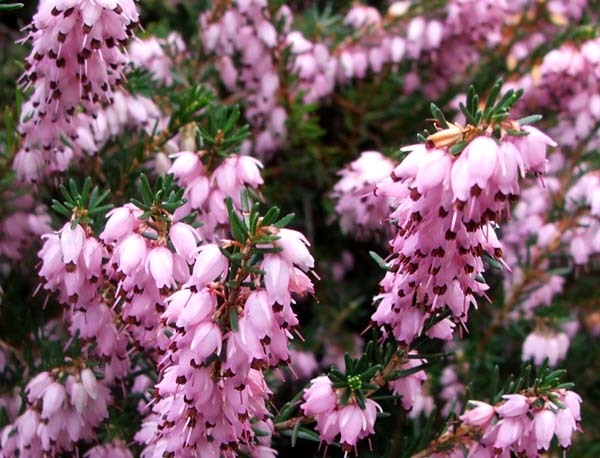 On checking in my big book of shrubs I see that there are about 750 species of Erica. My book devotes seven pages to this useful shrub - mentioning types from all parts of the world. Who knows what the variety in the Moosey garden is called!